I immediately became fascinated with this year’s nominee – Mona Parsons – how could I not have heard of this remarkable woman before? Conveniently, there was a book about her by a Nova Scotian author that was available right away, and I was able to impart my newfound wisdom about this woman around the supper table on Heritage Day. To my family’s great delight. Mona was born in Middleton, NS in 1901 and moved to Wolfville with her family in 1911. She grew up with a good education and a vibrant personality. She studied acting and spent time in both Boston (at the Currie School of Expression) and New York (as a chorus girl in the Ziegfeld Follies). After coming home to be with her sick mother, she returned to New York to study nursing. Her brother was also in the area (Rhode Island), and introduced her to a business associate – the man who would become her husband. 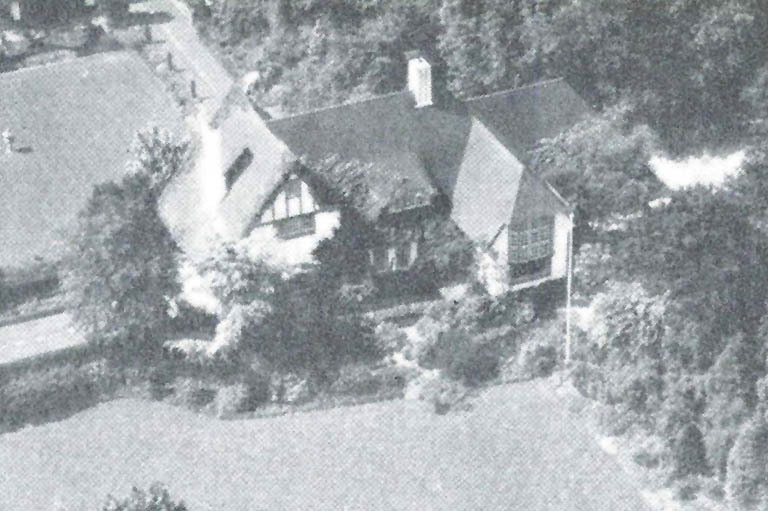 During WWII, Mona and Willem used their house to hide Allied soldiers. Mona was caught and imprisoned for almost 4 years. She was moved from prison to prison, her final destination being Vechta where she met a young Dutch Baroness. Vechta was a target for the Allies near the end of the war, and in the confusion of the bombing (during which the men’s prison was directly hit), Mona and Wendy escaped. They disguised themselves as a niece and aunt and headed towards Holland. Mona Parsons Leonhardt, at five foot, eight inches tall, weighed eighty-seven pounds when she stumbled upon her compatriots. They provided food and medical attention. One young soldier gave her a precious gift of three Moirs chocolates sent from home in a care package. Then she was whisked away to Canadian Army Rear Headquarters in Oldenburg, Germany, where she encountered recently promoted Captain Robbins Elliott of the North Nova Scotia Highlanders. Elliott, with Canadian Military Intelligence, was astounded to encounter a woman he knew—his father had been the physician who attended Mona’s mother in her final illness in 1930 —so far away from home. Here was the woman whom his older sister, Shirley Elliott, still remembers in 1998 as a “gorgeous woman, always so well dressed and who loved to dance,” abused but far from defeated. It was in Oldenburg that Mona met up with a childhood friend from Wolfville, Major-General Harry Foster. After the death of her husband, Willem, Mona returned home to Nova Scotia where she met up again with Major-General Harry Foster. They married in 1959 and lived their years together in Chester, NS. After Harry’s death in 1964, Mona moved back to Wolfville where she lived until her death in 1976. Fun fact: “Tat” McLean, the mother of Shirley MacLaine and Warren Beatty, grew up in Wolfville, NS and acted in some of the same local productions as Mona Parsons. A list of the past and future Heritage Day nominees can be found here. Our first Heritage Day honouree (2015) was Viola Desmond, another amazing Nova Scotian woman worth talking about. 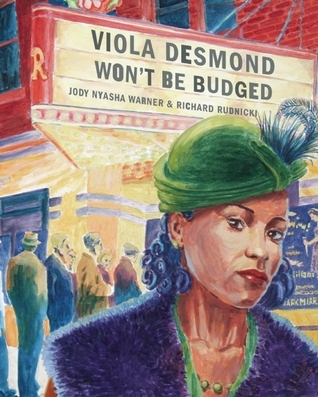 Viola Desmond is sometimes known as Canada’s Rosa Parks, except that Viola’s story took place 9 years before, in 1946. She was arrested for trying to sit in the “white” section of the movie theater in New Glasgow, Nova Scotia. Next year’s Heritage Day honouree will be Maud Lewis, a well-known local artist. Very pleased to have learnt about Viola Desmond, an unsung hero outside of Nova Scotia, I suspect. Yes, she’s very well-known across Canada at this point. Or at least she better be! I love those details of the Ziegfield Follies and the enormous house in the Netherlands. And what a great post for International Women’s Day! Is it just a coincidence that the 2015, 2018 and 2019 selections have all been women? Somehow, I missed this whole story this year, and this was the first I’d heard of Mona Parsons and her fascinating story. Thanks so much for pointing it out. And I love the fact the Shirley MacLaine’s mother is from NS! I had no idea! I was stunned when I read it – I had to google it to see if it was mentioned anywhere – which it is! Also, Tat’s mother was a huge player in the local theater community. I think her name was Blanch Lehigh Mclean. Good choices of women to honor. Perfect for International Women’s Day. Oh I loved this! What a fascinating woman, and what great news that Viola Davis is going to be on the ten dollar bill too! Also, have you seen the new heritage minute featuring Lucy Maud Montgomery yet? I’ve had a great time watching Heritage Minutes the last few days. I also watched that whole 45 minute documentary on Viola. What a story Mona Parsons had! Thanks for sharing! I love stories about real people who are not well known! It makes me want to know *everyone’s* story! I was just reading an article yesterday about another woman from NS who did great things but remained in the background. There’s no book about her yet… Her name is Sara Corning. How did you learn about her? I read an article written by a woman whose book I’m hoping to read soon. I was scrolling through her website, looking at her other work. She was fun to read about! 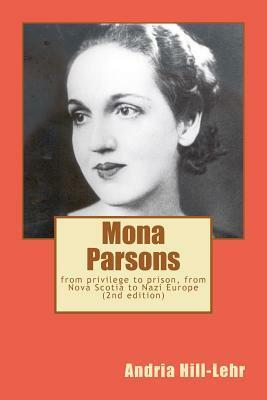 Wow what a story about Mona Parsons! I had never heard of her. Thanks for providing the link as well. I think I will print out the article. Like the fun fact too. Who knew? I’m glad you liked it! I thought she was fascinating. I love learning amazing stories about people from my region!